I love Irish, well I love teaching Irish, there is a big difference. I never liked Irish in secondary school, and only stuck with higher level because I needed it for teaching. I do however love speaking Irish. I immersed myself 100% in speaking Irish when trying to get into Hibernia and through the Irish interview. Since then I just stuck with it and my love of the language grew. I still detest Irish grammar but as long as you can speak it to a reasonable level I think it’s sufficient. Irish is one of my favourite subjects to teach. I don’t know why but I just love teaching it. 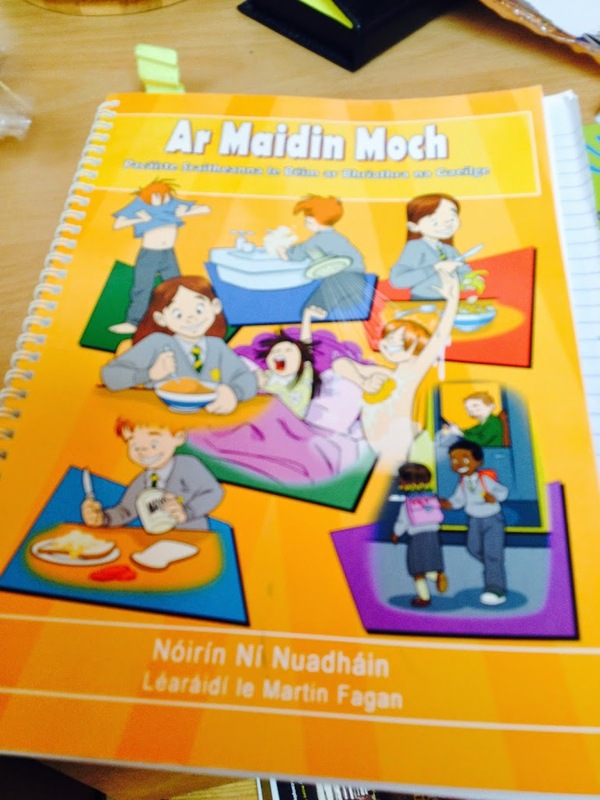 Children probably shudder when they see me coming because I spend the whole morning teaching Irish! I just think between the games, dramai, songs and lessons, there’s just so much to do! Now my written lesson plans were far from perfect, but I delivered the lessons well and that’s what matters. 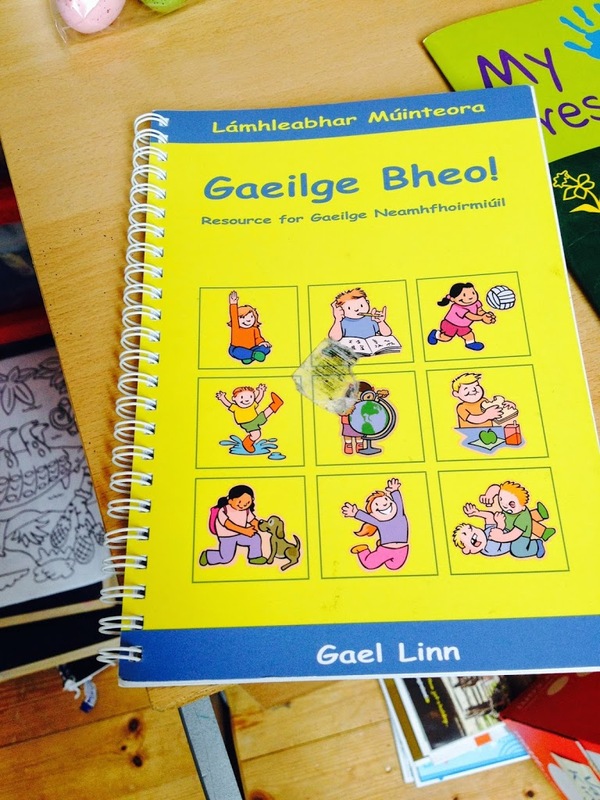 I have been working on my ‘Gaeilge’ folder since finishing TP. I am working on creating a photostory digital resource for each theme at each class level. I have already completed some which I use subbing. 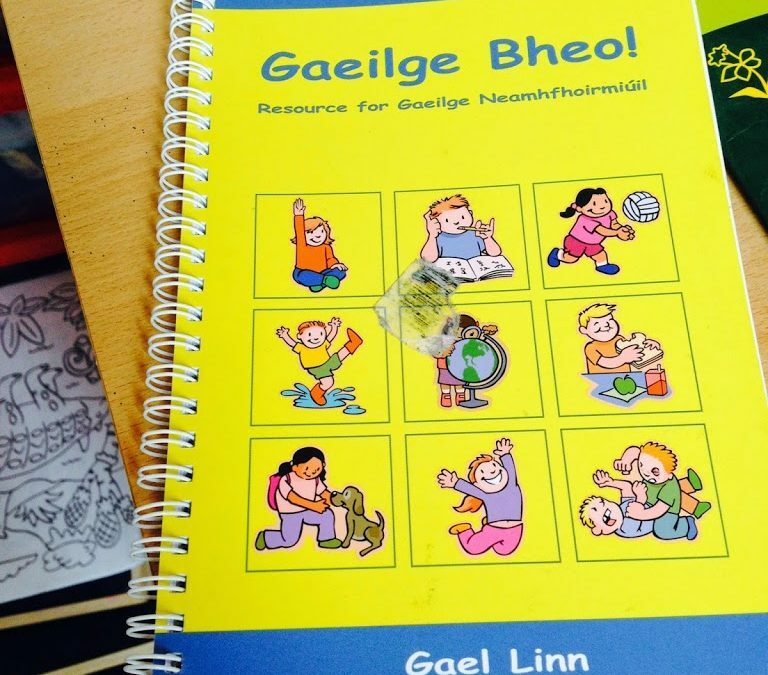 I am also working on making up my own Irish games to play with the children. It’s actually really fun!